For those living under a rock ( about which, I’d have to ask “why?”), the USA had its so-called mid-term elections, which are state and Federal elections that happen at the halfway point of the US President’s term. Unfortunately, instead of the blue wave, we got more of a blue ripple, where the Democrats barely won the House, with positive and negative results for Team Blue across the country. In California, there was one state Senate election that was interesting to many of us, the re-election of Richard Pan who is a staunch supporter of vaccines. Dr. Pan is not only a pediatrician but also is a Democrat who represents the 6th Senate District, located in Sacramento, CA. For those you who don’t follow California politics, Dr. Pan was the prime sponsor of SB277, which eliminated the abused personal belief exemptions for vaccines. The law essentially mandated vaccines for children entering school, and it has greatly increased vaccine uptake for school-aged children in California. SB277 still allowed for medical exemptions, which are exemptions that are medically necessary such as allergies or immune disorders. Unfortunately, the anti-vaccine crowd has abused this “loophole” by buying, in many cases, medical exemptions from unscrupulous individuals. Dr. (or is it Senator) Richard Pan has been targeted by the anti-vaccine crowd many times for his support of mandatory vaccination. They have even resorted to vile and disgusting racist attacks against him. It has even reached a level of violent hate speech that seems to be common in US politics these days. But Richard Pan has stood his ground on vaccine mandates, and he continues to be a strong proponent of children’s health issues. And that includes vaccines. Just prior to the election, Robert F Kennedy Jr, a science-denying and anti-vaccine nutjob Democrat In Name Only, decided to attack Richard Pan in a very expensive advertisement which ran in the Sacramento area. RFK Jr has gone off the deep end lately, not only running this ad against a fellow liberal Democrat but also attacking the integrity and ethics of one of the most respected physicians in medical research. Kennedy subscribes to pseudoscience and false information about vaccines to further his agenda. And let’s not forget, he genuflected to Donald Trump in a lame attempt to create a vaccine safety commission. Yeah, I think RFK Jr is a black mark on the Kennedy name. Well, none of this nonsense mattered in the election. Richard Pan won his California State Senate seat 68-32% over an anti-vaccine independent, Eric Frame. Admittedly, Senate District 6 is overwhelmingly Democratic – Hillary Clinton won the district by about the same amount over Donald Trump in 2016. Richard Pan wasn’t the only pro-vaccine candidate that mattered, but as a California citizen who thinks that protecting young children from vaccine-preventable diseases is a critical healthcare issue, I felt that the re-election of Dr. Pan was a great thing for the state. Congratulations to Richard Pan. I hope he goes far in California politics (if we’re lucky, there may be a US Senate position open in California in 2020, hint hint). And to Robert F Kennedy Jr. – you’re a science denier and traitor to progressive politics. You’re in bed with Republicans which include in their membership avowed science deniers and vaccine haters, Donald Trump and Rand Paul. Kindly remove your cranium from your colon. Please. Of course, the anti-vaxxers are whining about Richard Pan and other pro-vaccine Democrats winning yesterday. I’m laughing. Although I wish the rest of Team Blue had done a bit better. If I asked the general public about the CDC director, or who that person is (Brenda Fitzgerald), I’d get a blank look. It’s not exactly the most prestigious position in the Federal Government, but if you care about vaccines, cancer, infectious diseases, and public health, the Centers for Disease Control and Prevention is probably one of the more important Federal agencies, unless you buy into thoroughly debunked CDC whistleblower conspiracy theories. Because most Donald Trump appointees to Federal government department and agencies were filled with incompetent, ethically-challenged, science-denying individuals, his appointment of Brenda Fitzgerald as CDC Director was, more or less, taken by the science and medical community with a sigh of relief. She wasn’t anti-vaccine. She seemed to understand the role of public health in the USA. And she was a doctor. Trump could have done much worse, as we’ve seen in other departments. The anti-vaccine religion has been bigly supportive of Trump because he had shown some proclivity towards the vaccine denier beliefs. But they ended up crying vaccine tears when Trump did the “right thing” (probably the only time I will write that comment with respect to Trump) regarding several public health posts, including the CDC Director and Surgeon General. Then it all blew up. Of course, Ms. Winfrey has sent some mixed messages as to whether she will run for president, but as I’ve long ago observed in politics, denials have all the value of “a bucket of warm piss.” But if she did decide to run, I get the feeling, from reading posts across social media, she’d move to head of the class of Democratic candidates for President of the United States. She’d surpass more highly qualified progressive Democrats such as Elizabeth Warren and Kirsten Gillibrand, who both would get my unconditional support for president (as if anyone would care). California State Senator Richard Pan is a physician who was instrumental in leading the charge for SB277, the law that eliminated personal belief exemptions to vaccinations by California school age children. Senator or Dr. Pan, your choice I presume, has been dedicated to the health of children in the state of California, sponsoring bills that attempt to improve the healthcare of children across the state. Unless you’re a vaccine denier, SB277 has been an unmitigated success. Vaccination rates have skyrocketed across the state, meaning more children are protected from deadly vaccine-preventable diseases. Dr. Pan deserves a statue in the Hall of Vaccine Heroes, which should include Edward Jenner, Paul Offit, Jonas Salk, and Maurice Hilleman. He’s probably too modest to accept such an honor. Unfortunately, Senator Richard Pan has been the target of violent hateful racism and withering personal attacks across social media. He seems to either ignore it, or like many of us, just stand up to these attacks with reasoned, evidence-based arguments. Not that the vaccine deniers are capable of listening to reason or evidence. Firearms mortality, either murder, accidental or suicide, has always been a public health issue in the USA. There have been several good epidemiological studies that have examined whether gun control regulations and firearms mortality risk are related – and the results are surprisingly vigorous. From recent epidemiological research, there is some convincing evidence that establishes a correlation between state-level gun control regulations and firearms mortality rates. However, the link is not as black and white as one might wish – the relationship between firearms regulations and mortality depends on the quality of the law. The nation’s leading public health organization, the Centers for Disease Control and Prevention (CDC), is essentially prevented from analyzing and publishing any epidemiological research that would help us understand what, if any, links there are between gun control and firearms mortality. The Republican dominated congress have done everything they can to prevent the CDC from using any funds to study the issue. But maybe because this public health menace can no longer be ignored, a smattering of well done epidemiological research is being published in very high quality medical journals. Let’s look at one. On an episode of his HBO political talk show, Real Time with Bill Maher, Maher repeated his contention that the Republican Party, more generally the right wing of the American political spectrum, is the party of science denialism politics. I am no fan of Bill Maher, because, in fact, he himself is is a science denier. Maher hits some of the top 10 list of science denialism: he’s an anti-vaccine crackpot, he’s pro-alternative medicine, he’s on the verge of AIDS denialism, and, to top it off, he hates GMO foods. In other words, Maher, a leftist by any stretch of the meaning, embraces science denialism politics in a way that would probably inspire your local climate change or evolution denier on the right. HBO’s other political news-ish program, Last Week Tonight with John Oliver, features British comedian Oliver, who is pro-science on every issue I’ve heard, including scientific research and vaccines. Don’t be too high and mighty there, because there are certain aspects of science denials that are squarely in the liberal left. I like to generalize about the politics of science denialism politics – I and many others have claimed that the anti-GMO crowd is nothing more than the left’s version of climate change deniers. But some people have taken umbrage with Tyson’s comments, and believe that science denialism cannot be correlated with political beliefs. One caveat about this article – it is primarily focused on American politics. In many countries, both the left and right accept the consensus on scientific principles like evolution and vaccines. Only in America is science denialism the default position, crossing party boundaries. Let’s take a look at left vs. right ideas about science, and how each embrace science denialism and pseudoscience. It’s quite a bit more complicated than you can imagine. Earlier this week, I published an article on the nominee for the Surgeon General, Dr. Jerome M. Adams along with a potential nominee for CDC director, Dr. Brenda Fitzgerald. Since then, President Trump made it official, and Dr. Fitzgerald will be the next CDC Director. And the delicious salty tears of anti-vaxxers are flowing freely, since both doctors are clearly pro-vaccine. Some of you may remember that President Trump had tweeted (his only form of communication apparently) his dislike of vaccines prior to being elected President. 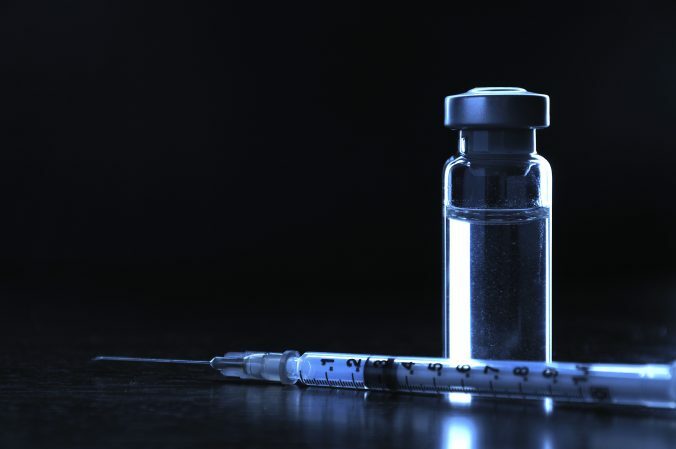 Massive combined inoculations to small children is the cause for big increase in autism…. Autism WAY UP – I believe in vaccinations but not massive, all at once, shots. Too much for small child to handle. Govt. should stop NOW! Donald Trump’s record on appointments for science and medical positions has been horrific, at best. His choice of Tom Price for Health and Human Services was terrible for healthcare. Anti-science individuals were also appointed to serve as EPA Director and Secretary of Energy. But recently, Trump appointed Surgeon General and will appoint a CDC director, both of whom appear to be good, though not perfect picks. Have a respectable medical and/or public health background. Don’t belong to the right wing Association of American Physicians and Surgeons (AAPS), which has radical ideas about health care, Medicaid, Medicare and just about any modern healthcare strategy. Don’t have unscientific ideas about HIV/AIDS, Ebola, Zika virus, and many other contemporary issues in public health. Sure, it would be nice for our national public health advocates to remind the country that accidental gun deaths is a public health issue, but that’s never going to happen in the current political environment. We have seen a lot of anti-science activities at the Federal government level that are scary. Massive reductions in Federal budgets for the EPA and National Institutes of Health are bad enough for those of us who support science research and education. But the emboldened right wing, at the state level, are pushing all types of anti-science legislation that will have a profound effect on how we teach science to our children. We need to pay attention to this. I thought it would be beneficial for us to take a look at the states that are pushing anti-science legislation since the November 2016 election, when a lot of state legislatures’ composition changed (or remained the same). In general, this legislation focuses on anti-evolution and anti-climate change beliefs pushed by the right wing. The United States Environmental Protection Agency (EPA) was created in 1970 for the purpose of protecting human health and the environment by writing and enforcing regulations based on laws passed by the United States Congress. Among its many responsibilities, it is at the forefront in attempting to reduce the effects of climate change. Of course, Donald Trump appointed a climate denier EPA chief, Scott Pruitt, who has absolutely despised the EPA while attorney general for Oklahoma. In recent years, critics would say the EPA has been too focused on CO2 and maybe things like hazardous waste sites, particulate pollution, strip mining, what’s happening to the oceans — there are so many things that the EPA could do productively that maybe have been diverted from this single-minded focus on CO2. I think that measuring with precision human activity on the climate is something very challenging to do, and there’s tremendous disagreement about the degree of impact. So no, I would not agree that it’s (CO2) a primary contributor to the global warming that we see. But we don’t know that yet…we need to continue the debate and continue the review and the analysis.